Author: Corcoran, Tom Set In . . .
Alex Rutledge, freelance and part-time Key West crime scene photographer, awakes to his first day off in months. Late August, the off-season, the dog days. Everything's okay until his phone rings. His old navy buddy, Zack Cahill, now a successful Chicago banker, is in town and, at 8:00 a.m., drunk in Sloppy Joe's. Zack demands that Rutledge join him for a celebratory beer. When Alex arrives at the bar, eight minutes later, Cahill is gone. The day continues downhill. A high-noon murder in the tourist district, the ransacked apartment of a local bartender, and the chance encounter of Abby Womack, Cahill's ex-mistress, combine to convince Alex that Zach Cahill's disappearance may be linked to all of these events. An overnight fire and a drive-by shooting the next morning amplify the strangeness and danger. 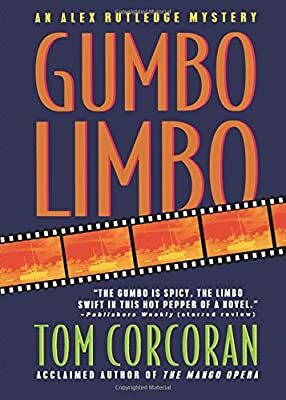 By calling in favors from a crew of Key West characters, stepping aside of law enforcement, and traveling to New Orleans in an attempt to help his friend, Rutledge will fall deep into a mysterious range war, a fight for the profits from a twenty-year-old smuggling deal.